Being a reality star might not be as lucrative as we thought. Multiple stars of 90 Day Fiancé have recently turned to social media and fundraising websites to ask fans for money because they are having financial trouble. Which brings the question – how much does the cast of 90 Day Fiancé get paid? Well, according to a former cast member, the amount is not much. Nikki Cooper, the wife of Chris Thieneman (a friend of David Toborowsky who appeared on 90 Day Fiance season 5) revealed the cast members only get paid $1,000 per episode plus $2500 to film the tell-all. As for the supporting cast members, such as friends and family, they get paid nothing to appear on the show. To put that into context, the 5th season of the show had roughly 12 episodes plus a tell-all special, meaning that cast was likely paid $14,500 for the entire season. This amount is surprisingly low in comparison to stars of Bravo’s Real Housewives who easily earn six to seven figures per season. Also in comparison, cast members of MTV’s Teen Mom franchises get paid over $300,000 per season. Even more stunning, 90 Day Fiancé is one of the highest rated reality shows on TV and has been for the past few years. It even gets higher ratings than Teen Mom. And due to this low pay, some of the current and former stars of the popular reality show have been begging for cash via their social media pages, GoFundMe campaigns, and Cameo video messages. Recently a friend of Danielle Jbali started a GoFundMe page for her in an attempt to raise $5,000 so she could “get her head above water,” but it only raised about $658 before the campaign got shut down. The fundraising page was created after Danielle took to her Facebook page to reveal she needed cash to avoid eviction from the mobile home park she lives in. She stated that she works two jobs and goes to school full-time, but still can’t make ends meet. She got behind on her rent and has worked hard to get caught up. “The mobile home park took me to court, and I came up with the money, but it is the matter of them accepting it or not. If they don’t accept it, I will have to leave the home I own and find a way to move my trailer out of the park,” she explained according to Starcasm. Nicole Nafziger, Jon and Rachel Waters, and David Toborowsky are all trying to earn some cash via the website Cameo, which charges fans for personalized video messages. Nicole charges $50 per video, the Waters are charging $30, and David and his wife Annie charges $40. Recently on Instagram, Paul Staehle, who is expecting his first child with wife Karine Martins, told fans that he needed money for a return trip to Brazil. He has offered to autograph pictures for fans in exchange for donations because American Airlines increased their baggage rates. “Anyone willing to contribute towards shipping cost, we will mail a thank you family autographed photo when we return,” Paul wrote. It is currently unknown why the TLC network chooses to underpay their cast members. New episode of 90 Day Fiancé airs Sunday night on TLC. 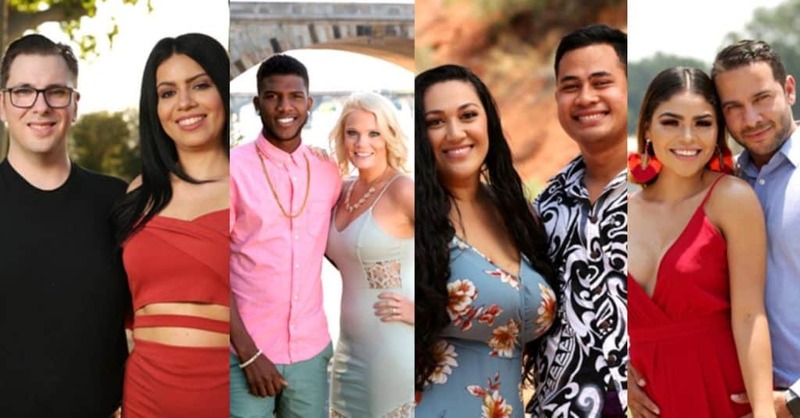 TELL US-ARE YOU SHOCKED AT THE 90 DAY FIANCE SALARY? SHOULD THE CAST GET PAID MORE?